Oriflame is today one of the fastest growing beauty companies selling direct. We are present in 61 countries, of which we are the market leader in more than half. We offer a wide range of high-quality beauty products as well as a unique opportunity to join our sales force and start your own business. You can order for Oriflame products and also join our gang to win exciting free gifts and discount facilities. 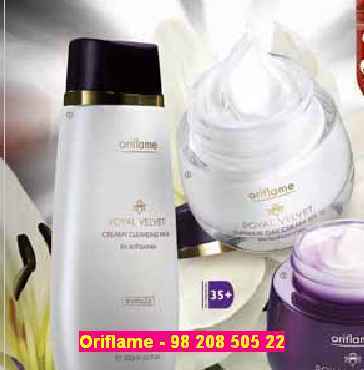 Oriflame is a Swedish company with pure and natural cosmetics and is far better than any other synthetic products available in markets. Waiting for your response. To get the latest month Catalogue .......call me/msg me! Can give you personalize guidance on skincare, haircare, bodycare, perfumes, makeup and for tanning or problematic skin types. I can give you guidance on bridal preparations!! I do give presentation on skincare & demos for individuals or corporates/institutions for personal grooming! !